Shipping charges are subsidised by Lavinia Stamps. For U.K. Standard Delivery we charge a nominal £1.95 toward the postal and packing costs. In some countries, you may need to sign for an international delivery. Please check with your local postal services if you are unsure. Please note: Certain items may occasionally attract higher shipping charges which will be normally be calculated during, the checkout process. If in the case of shipping bulky but lightweight items (such as baubles sent outside of Europe) the shipping costs prove to be outside of economic limits, we will contact you before proceeding. We aim to process orders within one to two days of receipt. If any item is out of stock but expected soon, we may wait one extra day after which we will dispatch the part order, with the balance following as soon as the items are available. If you receive our confirmation of dispatch email before 11.00am, Monday to Friday, your order will normally be collected from us by the appropriate courier that day. Orders with dispatch confirmation emails sent after these times will be collected by the appropriate delivery courier the next business day. All UK deliveries are subject to the carriers’ standard procedures and timescales. A signature is not normally required. If the package will not fit through your letterbox and no one is home, it may be taken back to the postal depot for collection, in which case a note will be left. In some countries, mainly outside the European Union, the receiver of the package may be liable for taxes, fees or other charges that are imposed by local laws or legislation in your country. 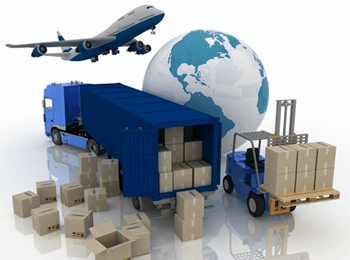 The recipient of the order is responsible for all customs formalities relating to their import and where required to do so will need to pay any additional charges, including import duty, customs charges, taxes, levies and any other charges. The recipient of the goods, not the person who’s ordered them, will receive a separate request for payment of these charges. If you are ordering goods for delivery to someone else please make sure they are aware of the possibility of these additional payments and that they will be responsible for payment. Since we have no control over these charges we are unable to predict what they may be and consequently, we are unable to provide any assistance with these processes. Lavinia Stamps Ltd has no control over these import regulations or additional charges and we suggest you contact the local authorities or postal service in the destination country for further advice. The website will charge and take payment in £ Pound Sterling. If you signed up for an account, copy invoices are available from within the “My Account” area. Payment methods available include AMEX,Mastercard, VISA, & PayPal.